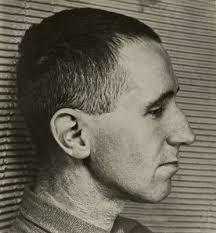 Eugen Berthold Friedrich Brecht was born in Augsburg, Bavaria in 1898. His parents were a catholic father and protestant mother and his upbringing was comfortably middle class with strong religious influences that could be seen in a lot his work later in life. He very nearly joined the lemming-like exodus of young men who rushed to join the Army in 1914 but his father recommended an alternative course of action. 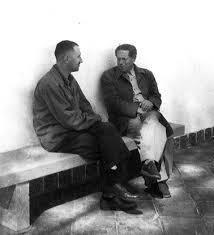 He enrolled on a medical course at Munich University although this was not until 1917. He was also a newspaper reporter, writing theatre critic pieces, but the Army finally caught up with him. This was not until the very end of the war though when he was drafted as a medical orderly, but found himself back home in Augsburg. 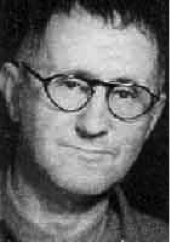 A number of theatrical pieces of work followed and he incurred the wrath of the emerging Nazi party members who were present at the opening night of In the Jungle in 1923. 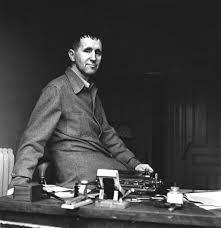 Whistles were blown and stink bombs thrown at the actors on stage, such was the scandalous nature of Brecht’s work (in their eyes at least). 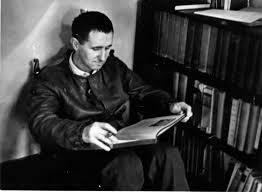 He was also writing poetry and short stories and his political leanings were heading towards Marxism and socialism. 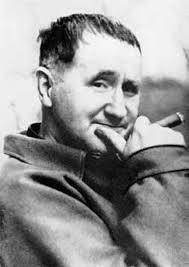 Given his strong feelings he, understandably, began to grow uneasy as Nazi rule grew and, in 1933, Brecht crossed the border into Denmark and then Sweden in 1939. With war now inevitable he moved to Finland and applied for a visa to go to the United States but he did not get this until 1941. 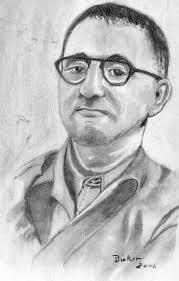 He spent the war years as an enthusiastic attacker of the Nazi movement, writing plays on the subject and the screenplay for a film that was directed by the famous Fritz Lang: Hangmen Also Die! This was based on the story of the infamous “Hangman of Prague” – Reinhard Heydrich. He and other German exiles had a huge influence on American culture at that time and he continued to be popular there until fingers started to be pointed at his socialist ideologies. 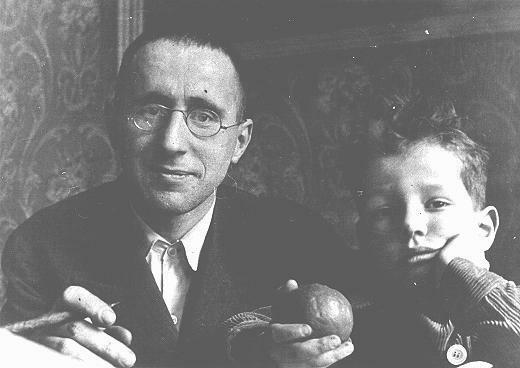 As the Cold War gripped East-West relationships Brecht found himself accused of being a communist and, therefore, he was not welcome in the country. 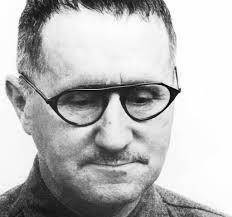 In October of 1947 he was back in Europe and, in 1949 took up residence in East Berlin where he was, outwardly at least, a supporter of the East German government’s policies. 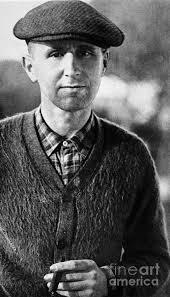 He wrote very little in his final years, preferring instead to direct plays where he could. 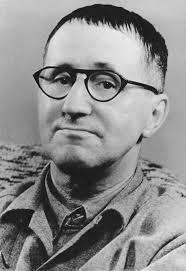 Bertolt Brecht died in August 1956 of a heart attack, aged only 58, and was buried in the Mitte neighbourhood of East Berlin.